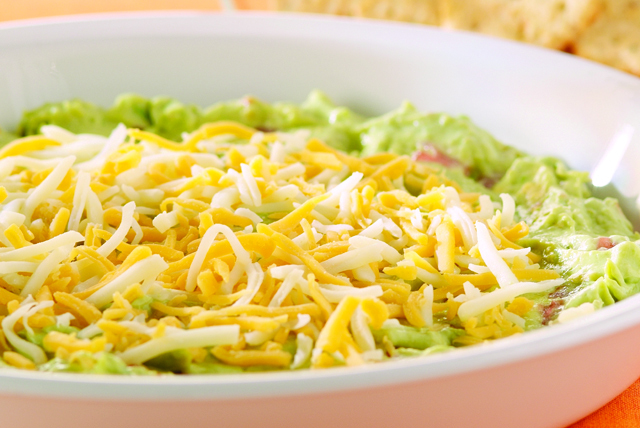 Wow your next potluck with our Chunky Avocado Dip! Made with sour cream and lime juice, guests definitely won't soon forget this Chunky Avocado Dip. Mash avocados lightly with fork in medium bowl. Add tomatoes, sour cream, lime juice and garlic powder; mix well. Spread onto bottom of pie plate; sprinkle with cheese. Use a pastry blender to easily mash the avocados.